And the CW has released an extended synopsis for Black Lightning. 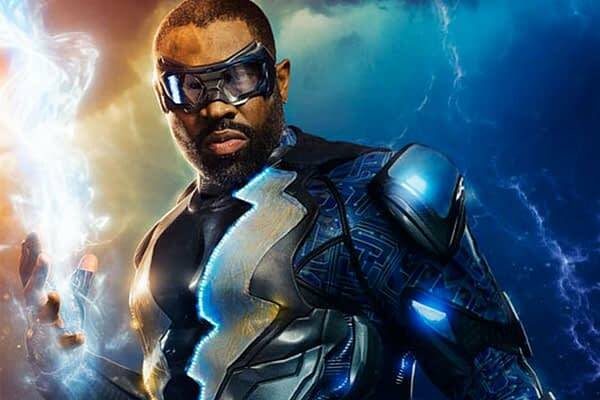 Now according to earlier reporting, Black Lightning does not take place in the Arrowverse and because it films in Atlanta instead of Toronto, crossing over the series would be a logistical nightmare. Plus it’s a late season series so it won’t be part of the 4-way crossover. This is exactly what I would expect Mark Pedowitz to say about a brand new series. But Black Lightning started at Fox so a lot of things were in play before CW got involved. If the series does well and earns a second season, there’s nothing to say the show can’t be moved to Toronto a la Supergirl’s move from L.A. between seasons. And it could exist on another Earth in the multiverse… so I wouldn’t rule out crossovers if the show does well. And the one thing to pick out of the extended synopsis is reference to The One Hundred which is portrayed as a street gang here but in the comics is a much bigger criminal organization that controls Suicide Slums in Metropolis and it tied to the villain Tobias Whale. Black Lightning is a mid-season series. No day or time has been given yet.